"In the women's club – we demand that skirts be abolished and that men take over the housework." 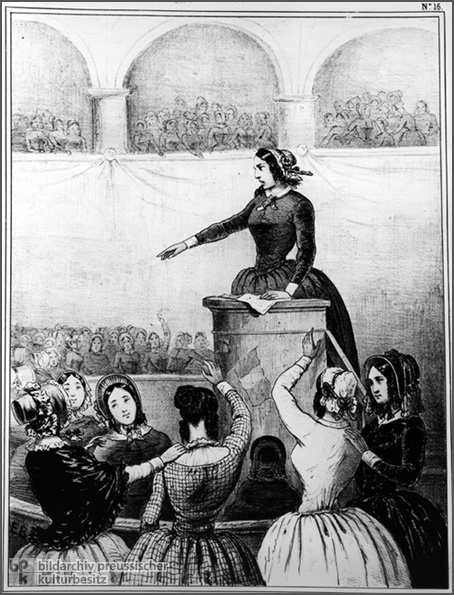 This caricature of a women's club meeting reveals the uphill battle that early women's activists faced against established gender roles. Lithograph from satirical magazine Charivari, 1848.